The Norpro Sauce Master Pumpkin Screen, made of durable nickle plated steel, is ideal for making pies, purees, and preserving. The Pumpkins Screen can also be used to strain pumpkin and squash. Measures 6"/15cm. Hole dimensions are 1/8 inch coarse mesh screen. Hand washing recommended. Accessory for Norpro Sauce Master #1951. Use to strain pumpkin and squash. 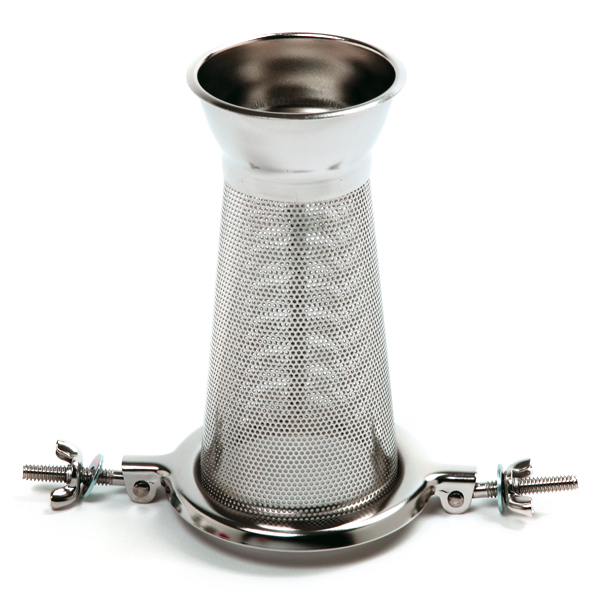 Ideal for making pies, purees and preserving. I simply want to mentoin I am just very new to blogs and really savored this blog site. More than likely Iâm likely to bookmark your website . You amazingly come with superb articles and reviews. Thanks for revealing your web-site.